small balls and slightly press it. You can make your own shape as per your choice. Take a small bowl. Add maida, water, little salt and make thin slury/batter. 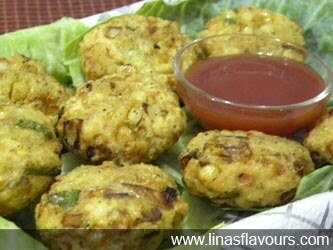 Serve it with chutney or tomato ketchup.